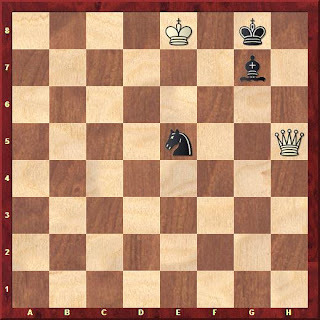 Bishop and Knight alone can not hold the position against queen except one position, which can be arranged on two corner of the board, depending upon which colour bishop you have. 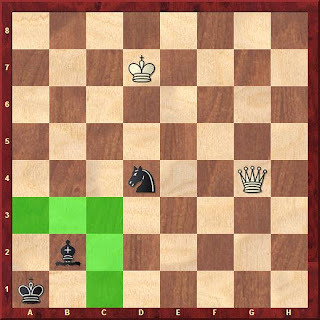 As you can see that white king can not enter into the squares marked with green colour. Therefore Bishop can not be captured so position remains draw. Moreover, white is not able to force black into zugzwang. Please note that attacker positions (here white's King and Queen) are irrelevant once defender gets the given position. Originally position was studied by Max A.K.S. Karstedt in 1903 who has also discovered some other possibilities in Philidor position even but not popular because they are complicated. In this article we will see different fortress positions for minor pieces (usually Defender Side) against Queen in pawn less endgame. Bishop must be arrange in a way so that stronger side king can not attack them. You can set up the fortress in 4 corners. Giambattista Lolli has given following position in his book Osservazioni teorico-pratiche sopra il giuoco degli scacchi (English: Theoretical-practical views on the game of chess), published 1763 in Bologna. 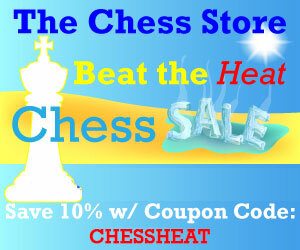 Which has been used in almost every chess endgame book to describe fortress against queen for two bishops. In the next part we will see fortress for two knights. In part 1, we already discussed fortress in this part we will discuss winning method for stronger side. Philidor studied this position in 1977 and therefore called 'Philidor Position' where stronger side (here white) wins with either side to move. With black to move it is comparatively easy for stronger side. Why ? because you have already same position which we get above on move no. 3. This game is for french lovers who just love later counter attacks possibilities in french defence. In Practice it has been observed that Queen vs Rook endgame is difficult though it was believed to be quite easy to force win. "The Appearance of Computer databases in 1978 caused the ending to be seen in new light.While they confirmed that the queen should win from all normal starting positions, they also showed that it was quite difficult to win if the defender played precisely." In the first part, we will see fortress position where defender gets draw by force with the help of perpetual checks and stalemate tricks. In part 2 we will see winning method for stronger side. 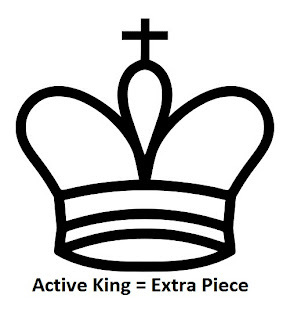 In the opening and middlegame stage king requires protection but as soon as game reaches to last phase, king activation has significant effect over the result of chess game. For better endgame result you should activate or centralize your king as soon as possible as there are less chances of mating attack due to few materials left on the board where you can use your king as an extra piece. Mikhail Shereshevsky has devoted a separate chapter on 'Centralization of king' in his book endgame strategy where he gave general rules to ameliorate your chess endgame. An experienced chess player is mostly playing with an extra piece in endgame compare to novice. Let's go through some examples which supports this thumb rule. Here you will find traps which has some practical chances to fall into. I have not included traps or tricks which are easily available on wiki pages and youtube. In every part we will deal with three tricks/traps. I prefer not to play traps but study it for saving yourselves. French defence is famous for its solidity and counter attack possibilities in later stage of the game with a view to somewhat cramp position in the opening. Game has been taken from the recent tournament (Grand Slam 2012), played between chess genius Calsen as black and Fabiano. Game was full of swindles but at last Carlsen did penultimate mistake under time pressure and lost the game in winning position but the way he handled the endgame was just fabulous. The Rubinstein Trap is an opening trap which is named for one of the chess legend Akiba Rubinstein; not because he used it against his opponents but he fell twice into it. 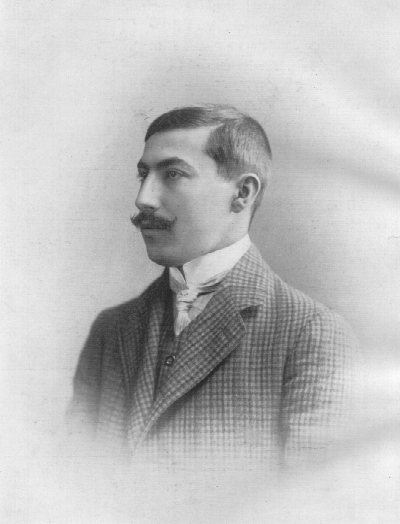 You can read more about Rubinstein from wikipedia pages. It is a opening trap under 'Queen's Gambit Declined' exchange variation where white capture 'd5' pawn with knight on c3, in return if black black is very much greedy and captures knight then loses queen. If not, trap offers minimum a pawn. Position after white's Nxd5 from the game between Max Euwe and Rubinstein. See the diagram(^) exd5 can be punished by Bc7 (Winning Queen). Here are two games in which Rubinstein fell twice. Recently I have wrote article on Chessimprover.com (GM Nigel Davies site) about Pressure & emotional instability which inspired me to write on other hurdles also which are between you and your chess improvement. I have wrote detailed article on this at chessimprover which you can read. Some tips I would like to share with you in order to be emotionally stable. Yoga and Meditation are having great impacts on your emotional aspects. Try is as I did. It has been often seen among the amateurs (Including me) that we expect much from us. Like we study very hard for 6 month to 1 years and expecting very serious Elo jump. In reality we need years in order to be good players, In 'BHAGAVAD GITA' (Religious Book in Hinduism) It has been told that "Do your duty and Don't expect for results"
Don't do unorganized preparation. Today you like one book or one coach and tomorrow different book or different coach... just don't do that. Search good mentor/chess coach and do what they say, walk on their plans as they are experienced and stronger than you in chess. I don't think that chess progress is possible without good coach; exceptions are always there. I believe that too much use of computer in your preparation can be a reason in losing interest in chess. Analyse game your self and show then to stronger player than you, take their guidance Prepare opening through studying games of chess legends not just few moves recommended by computers. Well known cause. We do not get king and pawn or rook endgame in our game so no need to study endgame (Amateurs and Beginners' words). Here you are mistaken as endgame is a tool on which you can play middle-game like ; exchanging pieces, launching attack, simplifying the position etc etc. If you learn endgame, you get to know importance of it. Last but not the least 'Actions are much more Important than plans'. I hope you get my point. It is very much important to have passed pawn in endgame. 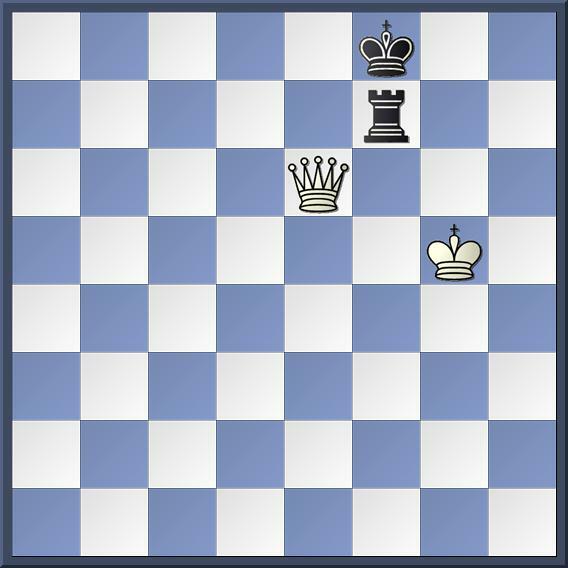 Sometimes material on the board is even but it may be possible to have passed pawns for both on different wings (King side, Queen side. 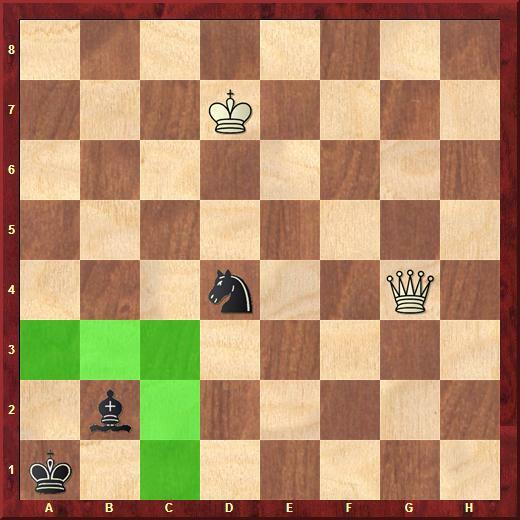 In endgame it is advantageous to have passed pawn on the side where your opponent has not castled. In general that is called majority on the queen-side. 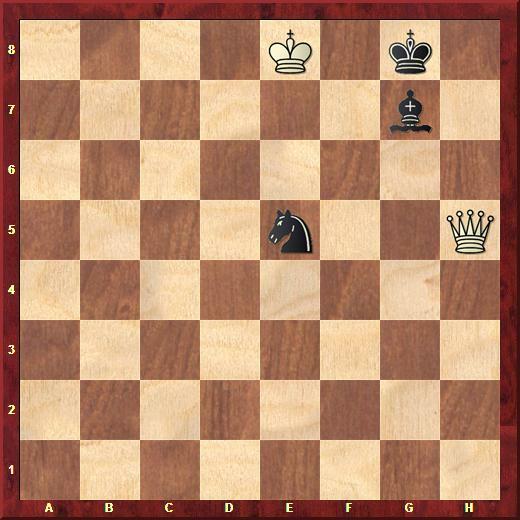 It is advantageous because your opponent king has to travel far to reach your passed pawn by the time you can just take off some of his pawns and gaining material advantages. It is basically a process of creating passed pawn.In simple terminology; finding correct series of pawn moves to produce passed pawn called pawn breakthrough.First we will go through some famous examples then we will dig this topic deeply. Remember : You must be having prior knowledge of 'key square' and 'Rule of square' in order to understand pawn breakthrough. 3. h6 and promoting the pawn and wins. But there is question why white was winning on the given position? Black king was too much far from the queening square. White pawns were more advanced.White won't be able to win if pawn were on the 4th rank and black's pawn on 6th rank. 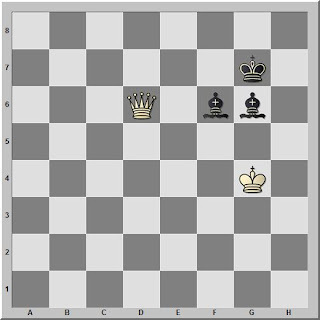 4. e6 and black king is not far from queening square. again winning is thanks to white advanced pawn and king's positions. In the both diagrams, kings were far from the action. But it is very much harder to evaluate position when king is in action. Let's look at some examples. 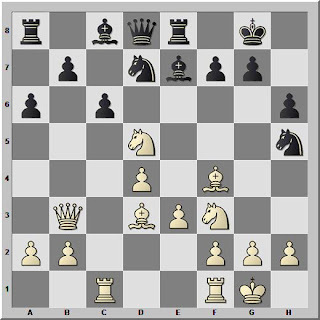 In the given position(^) with white to move white can win easily Kd4, but if black to move then it is his or her only chance, How he/she can win? with 1....c3 2. bxc3 bxc3 3.Kd3 and white can easily get the black's passed pawn. 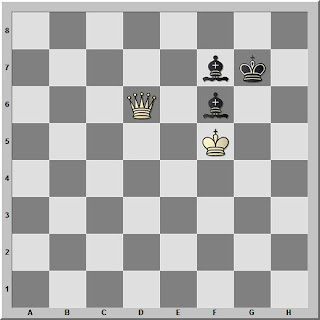 3. axb3 a3 which is not in the reach of white's king. So there is no rocket science to learn pawn breakthrough, but below are some examples in the form of puzzles which you should try to solve first then look at the answers.